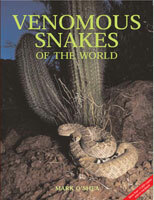 Venomous Snakes of the World. DK Handbook to Reptiles and Amphibians. Thank you for visiting the O'Shea Shop.